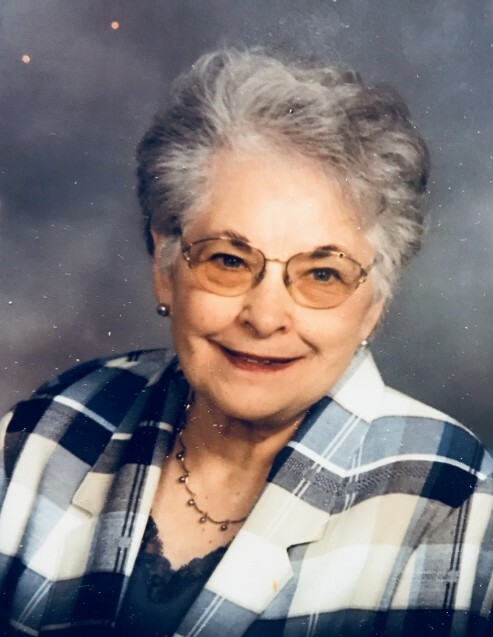 Phyllis Lucille (Wolff) Tilton, age 90, died peacefully at the Mahnomen Health Care Center on Tuesday, September 12th, 2018, after a year-long battle with cancer. A celebration of her life will be at 11:00 am on Saturday, September 15, 2018, at the Circles of Faith United Church of Christ in Waubun, MN, with a time of gathering an hour prior. She was born at Jamestown, North Dakota on January 15, 1928 to Jacob Wolff and Emma (Holzworth) Wolff. She attended the public schools at Jamestown North Dakota and in 1946 moved with her mother and siblings to a farm 3 miles west and two miles north of Ogema Minnesota. As a teenager she worked for the S & L Company in Jamestown. She graduated in 1946 from Waubun High School and for a short time worked at the Hart-Albun Building for her aunt in Billings Montana. On May 20, 1949, she was united in marriage to Robert Port Tilton at the Ogema Congregational Church. Together they raised five children on the family dairy and beef farm between Ogema and Waubun. During the years of raising her family, Phyllis did color portrait photo painting for studios using the funds to help her children go to college. She was elected School Board Director at Waubun Public Schools in l963 and served for three terms - the first woman elected to the School Board. In the late 1960's she started a ceramics business and worked from her farm home as a certified ceramics instructor. Later a shop was built at Waubun Minnesota called Tilton Ceramics. She joined the Order of the Eastern Star Moccasin Flower Chapter No. 257 in 1977 and was elected Worthy Matron five times and often her husband Robert served as Past Worthy Patron with her. She was instrumental in forming the Neighborhood 4-H Club of Ogema MN and the Neighborhood Homemakers Club. She has been a nearly 70-year member of the Circles of Faith United Church of Christ at Ogema and later at Waubun. She has been active in many capacities in her church serving for many years as Vacation Bible School coordinator and Sunday School Superintendent doing many activities with her children and church youth. She also formed a children's choir for her church and led the group while her children were growing up. In 1967 her three daughters won the talent show at the Mahnomen County Fair and the regional contest at Fargo. As grand prize they were awarded a trip to New York City to audition for the Ted Mack Amateur Hour. She is survived by her husband of 69 years, Robert; sons: Terry (Cheryl) Tilton of Hibbing, MN; Steven (Brenda) Tilton of Waubun, MN; daughters: Kathleen (James Richard) Rostedt of Sedona, Arizona; and Sherry (David) Wedum of Glenwood, MN; a son-in-law Roger (Nyla) Olson of Moorhead, MN; a foster daughter, Chris Olson; siblings: Ellen Whiteley, Dewane (Christel) Wolff, and Marlys (Kenneth) Pearson; 13 grandchildren: Evan Tilton, Katherine Tilton, Deanna (Ronald) Murcurio, William (Stephanie) Tilton, Rebecca (Michael) Del Palazzo. Ann (Alex) Butler, Mark (Joanna) Rostedt, Erin (Jace) Brownlee, Brent (Alison) Olson, Lynn Olson, Whitney (Matt) Gulden, and John Wedum; 13 great-grandchildren, Malcolm and Robert Butler, Katie Tilton, Porter Tilton, and Wade Tilton, Emilia Brownlee, Amelia (Mia) Rostedt, Miles Olson, Adalena Del Palazzo, Maxwell Gulden, Felix Olson, Dashel Brownlee, and Evelyn Rostedt. She was preceded in death by her parents (Emma Holzworth and Jacob Wolff), daughter, Marlene (Roger) Olson; one grandchild, Nicole Lee Tilton and three brothers, Pirl, Vernon and Kenneth Wolff.